Day 1: Board your luxury Mediterranean yacht charter in Ajaccio, Corsica. Ajaccio is the renowned birthplace of Napoleon Bonaparte. Set on a sunny bay surrounded by citrus groves, olive trees, and vineyards, Ajaccio is bursting with history and cultural diversity. At the heart of the city, Place Foch is a beautiful oblong square shaded by palm trees and surrounded by small restaurants. Travelers savour a bit of respite here in view of the cooling fountain. Day 4: The La Madeline Archipelago: This is a Mediterranean national Park between Corsica and Sardinia. The archipelago is composed of Seven Isles of extraordinary beauty, all together which protect the International Park of the Bocche di Bonifaccio. Yacht Cruising 30NM - Leaving Corsica yacht charter and ariving in Sardinia. Day 6: Awake leisurely after your night out and cruise in your yacht around to Cala de Volpe, Sardinia where you can easily spend a day. Spend the day enjoying the water toys or relaxing on the beautiful beach before heading ashore for dinner at the famous Cala di Volpe Hotel. Day7: Last full day on your Sardinia yacht charter - Cruise in the yacht round to the island of Tavalara, Sardinia, which is a high granite island that overlooks the east coast. 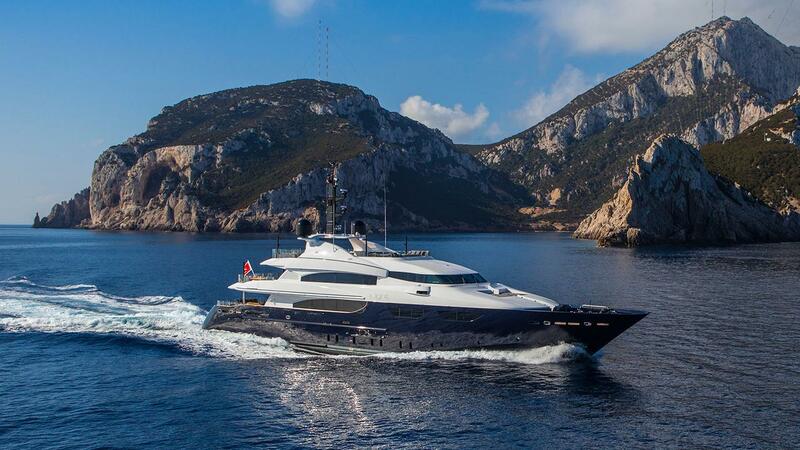 After a day in the sun and sea, cruise in the yacht back to Porto Rotondo for the evening. Day 8: Prepare for disembarkation of your Luxury Sardinia & Corsia Mediterranean yacht charter in Olbia at midday.